I’m just back from doing the Neocon show in Chicago, a trade show for interior designers. We were showing our suede and smooth wall murals, and our wall fabric. Our booth was well received, and I hope we found a lot of new customers! 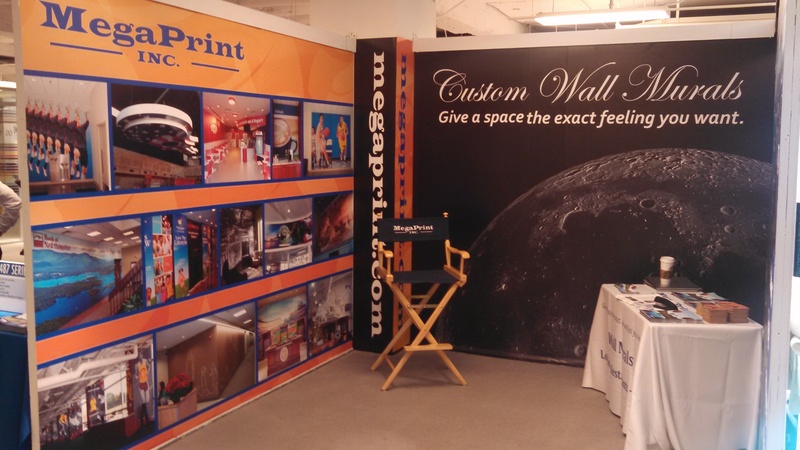 What’s different about Neocon is that they give you three walls, instead of pole and drape as in a typical trade show. I put our suede wallpaper on one wall, wallboard vinyl on the back, and wall fabric on the third. They all looked great! One observation I had, though, was how much more forgiving the suede wallpaper was of the wall below. The walls in these booths are not the smoothest, and the suede wallpaper masks the irregularities below much better than a smooth material. You really had to look to find a problem, and there were plenty! The smooth material on the back showed every little blip. This entry was posted in Custom Printed Wallpaper and tagged custom wallpaper, Neocon booth, trade show booth, wall murals. Bookmark the permalink.